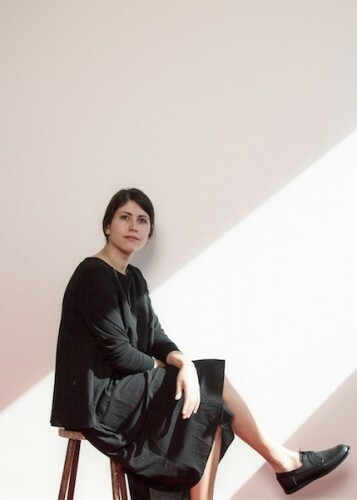 Introducing Kowtow: a new label to Poepke, composed of deceptively simple pieces. 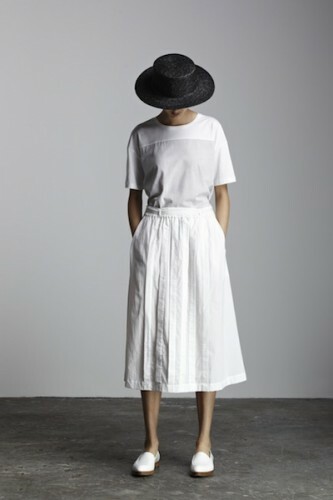 Effortlessly elegant, casual clothes that form dramatic silhouettes, Kowtow is minimalism perfectly executed. Bold graphics, and eco-friendly fabrics make Kowtow garments effortlessly cool. The softness of organic cotton means the clothes also feel incredible against your skin. Kowtow is 100% fairtrade and ethically sound. We spoke to creator Gosia Piatek to get the behind-the-scenes on the label. Rather than being born out of the fashion industry, Kowtow was initially the result of pursuing a sustainable, ethical business model. How did it all begin? Back in 2007 I had a naive and wonderful idea with my partner at the time to start up a fair trade organic cotton clothing label. With absolutely nothing to lose and not a penny to our name, we managed to secure a $5000 government grant and a large t-shirt order. The rest is history. How do see your approach as a little different from that of other labels? We think about ethics and sustainability first and foremost, then we work the design around the limitations. For example, we haven’t managed to source ethical/sustainable zips so we create patterns that can avoid zipper closures, which in turn means we constantly have to think outside the box and be very creative with our design and pattern making approach. What sorts of benefits does the fairtrade model have for your producers and their communities? Being a certified fair trade company with the Fairtrade Labelling Organisations means that our cotton farmers receive a premium for their harvest. Usually the people at the bottom of a supply chain get paid the worst, and being fair trade allows for farmers to earn a living wage plus other benefits such as bonuses, which they can choose to spend on community projects such as schools, clean water and cattle. The cornerstone of the label is organic, fairtrade cotton. Could you tell us a little bit about where this cotton comes from? The cotton is from India. Our producer groups are small scale and many of them only own 1-2 acres of land. They all work under the organic and fairtrade umbrella, which means that our cotton is grown pesticide free and uses natural techniques such as companion planting, crop rotation and non-GM seeds. Is the effortless, relaxed feel that your pieces have a conscious part of your design? Yes, everything we do is conscious. Although that said, we do only work with cotton which is a more relaxed fabric, so as a result we do end up with very wearable collections. The minimal aesthetic neatly complements your ethics and materials. What are some of your reference points in going into the design process? We love to approach each collection with a strong theme, whether it’s referencing architecture, artists or crafts.